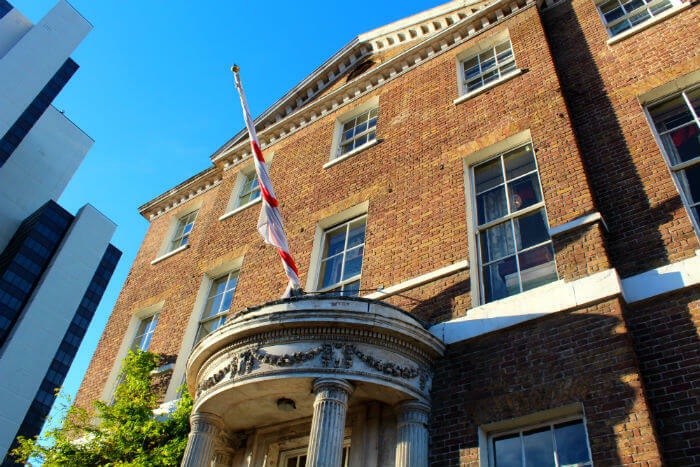 Brunswick House has been a constant in the changing history of Vauxhall, an area being transformed again with vast towers being built around it and the area becomes known as the new ‘Embassy Quarter’. 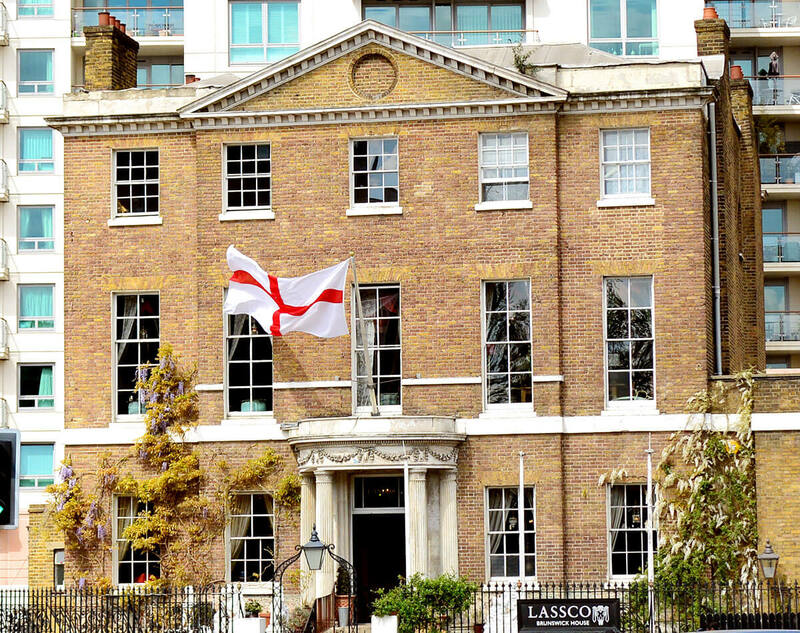 Lassco, a property developing company, has used its love of old buildings, and unique sources, to sensitively bring Brunswick House back to life, making it a great destination for a summer work reception, birthday party or wedding. 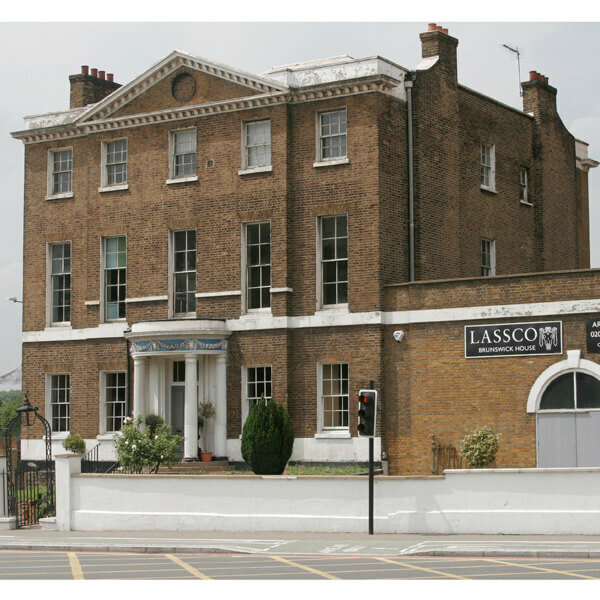 It was in 2004 that Lassco bought what was then a decrepit Brunswick House. Part of bringing the house back to life has been the inclusion of a well-reviewed restaurant and a thriving business as a venue hire for a cocktail party, wedding, board meeting or other event, either in the Saloon, once the drawing room of the Duke of Brunswick which holds 60 in style, or perhaps a cocktail party in the library. 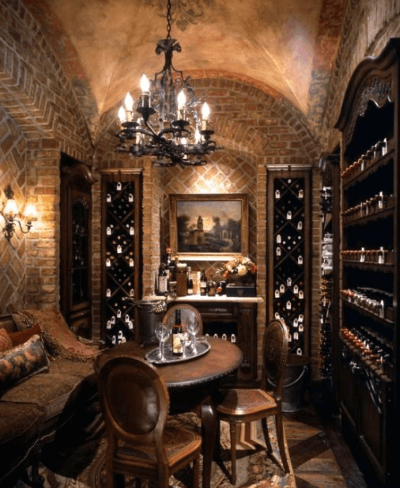 The Cellar Rooms are ideal if you want a disco. Step inside and you begin to feel a Georgian sense of ease and elegance in busy central London. 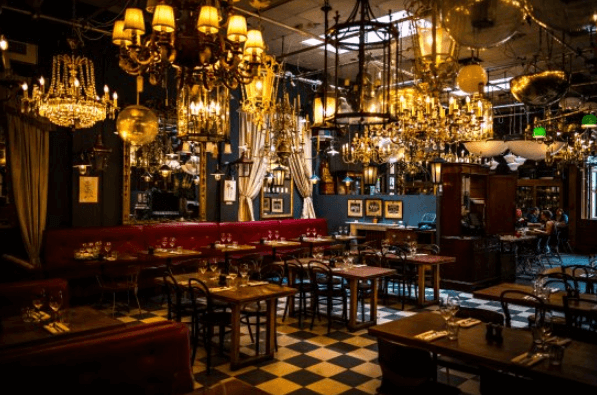 A true treasure house of period fixtures and fittings, since 2010 the mansion has also hosted the Brunswick House Cafe, a critically acclaimed restaurant and bar. The Brunswick House Cafe has grown from a slightly eccentric partner of a working salvage and reclamation shop to become a true London food institution with a reputation for great food, interesting wines and seasonal menus as well as delicious cocktails. The Brunswick House Café is a splendid, informal restaurant and cocktail bar set within the Georgian town house. Guests enter through the grand stone portico leaving the rumble of London's busy traffic behind. Inside its lofty Georgian interior the restaurant has not so much been designed as assembled, packed as it is with sparkling chandeliers and other effects hanging from the ceiling. There are old rugs, bare wooden tables and a few booths made from red-leather banquettes pushed into place. Reclaimed furniture and vintage paraphernalia jostle with an eclectic display of beautiful antiques. The chairs and tables are architectural salvagers and some of the most comfortable chairs you will sit in whilst you admire all the other gems on display. What makes it all the more fun is that you are never quite sure if MI6 is sitting at the next table. Jackson Boxer has been running the restaurant for several years and works with head chef Andrew Clarke. Boxer is the grandson of one of the greats of post-war British food writing, Arabella Boxer and his father Charlie runs an excellent delicatessen. Jackson with his brother Frank has been involved in a number of food enterprises, but he learned the best skills by starting out with Margot Henderson before working in the kitchens of Tom Norrington-Davies at 32 Great Queen Street. Enough experience to ensure that food at Brunswick House will be and is stunning. Apparent simplicity, good craftsmanship and interesting recipes. Some of these are novel, some borrowed from around the world and others are inventive to create a plate that is balanced in terms of flavours and textures. The dishes are based around the best British produce, sourced from small producers, farmers and fishermen throughout the UK. The restaurant has gained a reputation for excellent food, even at the busiest times of the week. The staff, including the waiters and waitresses are efficient, friendly, accommodating and helpful. Food includes dishes such as Delica Pumpkin, Pear, Black Radish, Nasturtium; Mackerel, Rhubarb, Kohlrabi, Dill; Raw Venison, Jerusalem Artichoke, Pecorino in Fossa, Cumin or the more expensive Heritage Carrot, Chickpea, Hazelnut, Sunflower Seed. The waiting staff guide you through the menu, at the same time offering suggestions for wine pairings for each course. None of these dishes may be obvious, but they make sense because the chef understands good taste to know what ingredients to match. Their wine list also includes Pinot Blanc and Riesling from Alsace; Sancerre, Folle Blanche du Pays Nantais and Muscadet Coteaux from Loire. Wines from Burgundy, Beaujolais, Rhône, Bordeaux, Provence and more in France. Wines also from Spain, Portugal and Italy as well as central and eastern Europe. New World wines from California, South Africa and Australia are also included.